An ex-SCCA race car makes for a perfect southern California runabout. Don’t let the long roof fool you, this is no sheep. Though it is inspired by NASCAR, this stately beast can still carve a canyon. 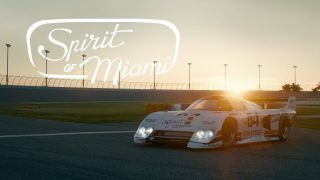 This is the car that brought an F1 champion out of retirement. “When you get in a car, you become it” is now, by far and above, my new favorite automotive quote. 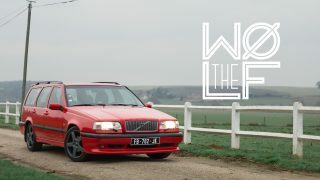 Epic video, car, story and person. That is quite an LA point of view. The prevailing view here tends to be that a car is a bit like a suit of clothes. A garaged and lightly driven car lasts and holds its appearance for decades. Because cars last so long in this weather, people may have two or more for different occasions. With a car like an AC Bristol, well, that is quite a statement, anywhere, but especially here in LA. Thanks so very much for all your wonderful comments, information and support. I really love this world :-). Hope to see all of you at a car event soon. Thanks so much for showing us your car. Your AC Bristol is so significant as a transitional design, much of which was used without alteration by Shelby, for his Cobra. That car, by the way, Cobra #1 is going on display at the Peterson Museum, opening February 22. The suspension with transverse leaf springs, and the innovative subframe tying engine and differential into one piece, were so effective, that initially Shelby did not make any changes to the configuration. 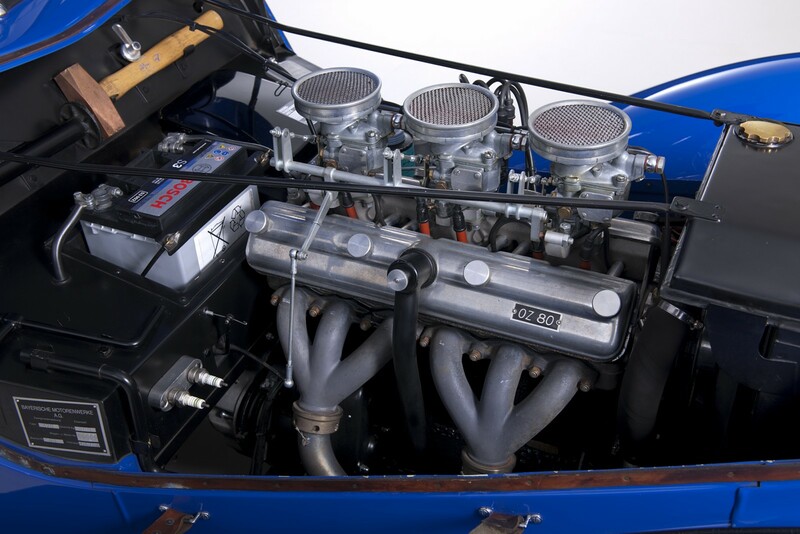 The 260ci V8 was installed in an engineless AC Ace, and the car was tested on the track. Apparently the body is made from a light alloy, and not fiberglass. From some of the compound curves below the front headlights, which are easy to execute in glass, and difficult to do on an English wheel, you might think glass, but it is an aluminum alloy. Comparisons are often made between this chassis and that of a Ferrari barchetta of the time. Apparently the Bristol 100D2 engine, in this car, a 2 liter inline six, was developed by Bristol from the BMW M328 engine that Bristol produced in England under license from BMW during the 50s. Both Bristol D2 and BMW M328’s are push rod engines w/ aluminum blocks & heads, a cross flow configuration, and hemispherical combustion chambers. Valves are overhead. https://wikivisually.com/wiki/BMW_M328. I found an image that shows a few of the exhaust valve transverse rods. There are two rocker covers at a wide angle. This looks like a double overhead cam engine, and is not. There are two rocker shafts; one on each side. The intake shaft has rockers to drive the intake valves AND it has intermediate rockers that drive six transverse push rods, across the top of the engine block, that in turn drive rockers, on a second rocker shaft above the exhaust valves. One cam in the block. Two rocker shafts. Very cool story, beautiful car. This fine lady is on the right track. Great story. The owner is an inspiration for women to become leaders in technical areas. Happy to share this with my daughter. Fabulous car, but even more fabulous owner with a hell of a story of her own. 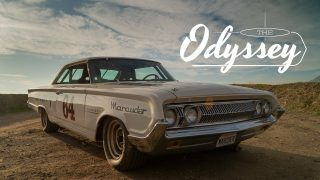 Petrolicious hits yet another homer. Hands down my favorite car of all time. I doubt i will ever own one because the values have gotten crazy. Lots of them were converted to V8’s because of the Cobra connection. If memory serves the Bristol engine was BMW derived. So, maybe a Cobra kit car with a BMW engine? That would be close. Lovely video. Great car. Fun owner, who shows every sign of knowing everything there is to know about moving cars across oceans. Thank God, I thought I was going to miss my weekly fix. Halfway through detox but can now rest!